The transplant professional counts heavily on the contributions of the pathologist for diagnosis before and after transplantation. While it is not the purpose of this manual to offer a description of all the conditions that lead to end-stage organ disease, it is important to offer an overview of posttransplant pathology as it pertains to diagnosis and management of acute rejection and other conditions that cause allograft dysfunction in the postoperative period. Finally, due to the sparse and often controversial information regarding pancreatic allograft biopsies, only liver and kidney transplantation are addressed here. The spectrum of liver transplant pathology begins with the examination of the recipient's explanted liver. This is a valuable opportunity to study the primary disease in depth and to search carefully for other pathologic features, such as incidental hepatocellular carcinoma. The donor liver can be evaluated rapidly before transplantation. Frozen-section technique is usually used for such an examination. The presence and the degree of steatosis (most importantly, macrovesicular steatosis), inflammation, necrosis, and fibrosis can be evaluated immediately by this technique. The liver with severe macrovesicular steatosis, usually involving more than 30% of parenchyma is at high risk for early graft failure (Fig. 21.1). Figure 21.1. Severe macrovesicular steatosis involving more than 30% of hepatocytes (Trichome stain). and cholestasis can be appreciated. The liver with a significant degree of macro-vesicular steatosis is more susceptible to perfusion injury and a higher incidence of early graft failure. After transplantation, monitoring of the hepatic functions and histopatho-logic examination of the allograft remain the most reliable methods for post-transplant management. The major causes of early allograft dysfunction are acute rejection, mechanical or technical complications, and infections. Acute graft rejection generally develops between 1 and 3 weeks posttransplant. Late acute graft rejection is possibly due to changes in immunosuppression regimen. Needle biopsy is used for accurate diagnosis of acute rejection. Fine-needle aspirate, although not widely accepted, has also been used in some transplant centers. Bile duct epithelium and blood vessels are the major targets of rejection. The three major diagnostic features are (1) mixed but predominantly lymphocytic portal infiltrate, (2) bile duct injury, and (3) endotheliatitis (Fig. 21.2). The portal infiltrate is composed of activated lymphocytes, polymorphonuclear leukocytes, and eosinophils. The bile duct epithelium shows nuclear crowding, cytoplasmic vacuolization, enlarged nuclei, and prominent nucleoli. Endothelialitis consists of inflammatory infiltrate of the vessel wall, usually the portal vein, but sometimes the terminal venule, associated with endothelial cell swelling and separation. Figure 21.2. Acute cellular rejection, with mixed portal infiltrate, bile duct injury, and endothelialitis (H&E stain). Once the diagnosis of rejection is established, grading should be assessed. The most recent and widely accepted system is the Banff Consensus Schema. Grading is based upon global assessment of portal infiltrate and the rejection activity index. According to the global assessment, the rejection is mild when a few portal triads contain reduced and confined portal infiltrate, moderate when the infiltrate expands most of the portal triads, and severe when portal infiltrate extends into the periportal area, with perivenule infiltrate and hepatocyte necrosis. The rejection activity index is based on a total numerical score obtained by adding each component of rejection: portal infiltrate, bile duct inflammation, and endo-thelial inflammation. Mechanical complications, usually presenting early after transplantation, include vascular and bile duct complications. Thrombosis or fibrosis of the hepatic artery or portal vein at the anastomosis site can result in ischemia of allograft. Bile duct injury, such as stricture or breakdown, can lead to biliary obstruction, peritonitis, and sepsis. Figure 21.3. 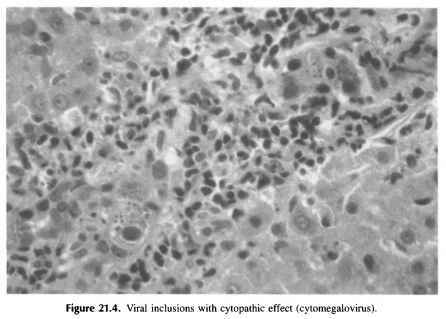 Microabscess in transplantation (cytomegalovirus). viral inclusions (Fig. 21.4). Immunohistochemical staining can enhance the sensitivity of histologic detection. Late allograft dysfunction, usually occurring at 3 months and beyond, encompasses several complex conditions requiring combined clinical and pathologic evaluation. Chronic rejection, sometimes as a result of unrecognized ongoing rejection, has less defined diagnostic-pathologic features. Histologically, chronic rejection occurs/or may be suspected when there is progressive bile duct disappearance and obliterative arteriopathy. The criterion, absence of more than 50% of interlobular bile ducts, particularly on multiple, consecutive biopsies, provides a reliable histologic feature of irreversible chronic rejection. The portal areas usually have minimal inflammatory infiltrate. Obliterative arteriopathy usually involves the larger blood vessels and is not detectable by percutaneous needle biopsy. It is characterized by collections of intimal foamy macrophages and subsequent intimal thickening and luminal obliteration. duct inflammatory changes, and lobular inflammation are constant features of recurrent hepatitis C. Predominant lobular hepatitis and liver cell necrosis (apop-totic liver cells) are features in favor of recurrent hepatitis C. Other recurrent diseases have been described (although not widely accepted) in allografts: primary biliary cirrhosis, primary sclerosing cholangitis, and autoimmune disease. Rarely, recurrent malignant neoplasm can affect the allograft. Posttransplant lymphoproliferative disorder (PTLD), an Epstein-Barr virus (EBV)-related complication, usually occur later after transplantation. The most serious of all PTLDs is monoclonal B-cell lymphoma. Finally, late hepatic allograft dysfunction can be caused by drug-induced liver injury. These patients are often on multiple medications, and either toxicity or drug interactions can cause elevation of liver enzymes and histopathologic changes. Therefore, it is important to interpret the liver biopsies of these patients with knowledge of their medications and immunosuppression levels. Renal allograft loss following transplantation can be attributed to a large number of factors, both immune and nonimmune. The nonimmune factors may consist of perfusion (ischemic) injury of the organ, vascular stenosis of various etiologies (surgical, thrombotic, infectious), various bacterial and viral infections, cyclosporine (CyA), tacrolimus (FK506), monoclonal antibody (OKT3) related toxicities, recurrence of primary renal disease (diabetes, uncontrolled hypertension, etc. ), and de novo glomerular diseases. Last but not least, immunosuppression-induced PTLD may be included in this list. It is beyond the scope of this manual to discuss these factors in any detail; only a few of the more common reasons for graft loss are mentioned briefly. One of the most important roles of the transplant pathologist is to evaluate an organ for its suitability for transplantation and its postperfusion status. This assessment must take place prior to and immediately after transplantation. A small-needle biopsy is submitted for frozen-section evaluation. Commonly encountered problems consist of glomerular obsolescence (sclerosis), disseminated intravascular coagulation (DIC), thrombosis, interstitial fibrosis, advanced hypertensive disease, silent diabetic nephropathy, or any other unsuspected renal disease. Progressive glomerular sclerosis and obsolescence have been associated with poor graft survival. Kidneys that have in excess of 20% sclerotic glomeruli should be rejected for transplantation, since about 90% of such kidneys developed delayed graft function and about 38% of the grafts were lost. Immediately following transplantation another histopathological assessment should take place to determine proper organ perfusion as well as the extent of acute tubular necrosis (ATN), if present. This evaluation should be made on permanent sections. The findings must be communicated to the surgeon immediately. 21.2.2.1a. Clinical. Hyperacute rejection in an organ occurs in the very first minutes to hours postrevascularization. Instead of assuming a bright pinkish-red color following perfusion, the organ immediately turns dusky and dark. 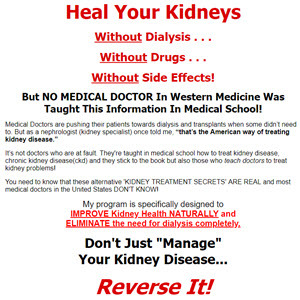 The kidney is edematous and enlarged secondary to congestion. 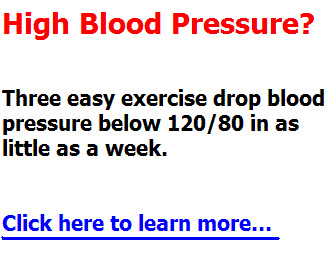 It is nonfunctional and does not produce urine. 21.2.2.1b. Histopathology. The humoral arm of the immune system mediates hyperacute rejection. It occurs when there is a major blood group incompatibility and/or a major human leukocyte antigen (HLA) Class I mismatch. Circulating antibodies bind to endothelial cells surfaces, activate the coagulation system, and initiate thrombosis. The presence of neutrophils within glomeruli and peritubular capillaries is a common diagnostic feature in the very early phase of hyperacute rejection. Extensive interstitial edema and hemorrhage accompanied by vascular thrombosis are present. Within the glomeruli, there is significant red blood cell (RBC) congestion and infiltration of neutrophils. At more advanced stages, within 12-24 hours, frank cortical necrosis may be present. Tubular epithelial necrosis is seen as well. Immunofluorescent studies on such kidneys reveal an intense anti-IgM and -C3 antigen staining of the deposits within the vascular and glomerular lesions. This form of rejection can occur within the first 3-4 months posttransplant. It is also mediated by the humoral immune system. Similar to hyperacute rejection, this process is also mediated by anti-HLA Class I antibodies. The histological picture is that of thrombotic microangiopathy, involving both glomeruli and arterioles. Immunofluorescence of anti-C4d complement fraction in peritubular capillaries is diagnostic. Fibrinoid necrosis of arterioles, which may be present in 25% of cases, confers a poor prognosis for graft survival. Recovery is only about 50-60%. The major differential diagnosis is that of CyA toxicity. An intense transmural-necrotizing lesion may be seen in larger arteries. It consists of medial myocyte necrosis with fibrin deposition within the media of arterioles. Immunofluorescence shows anti-IgM, -IgG, -C3, and fibrin deposition. This lesion indicates a very poor prognosis for graft survival and is also mediated by the humoral immune system. 21.2.2.4a. Clinical. Acute cellular rejection (ACR) can occur within the first week up to years posttransplantation. It is manifested clinically by a rise in serum creatinine, which may be subtle and gradual or quite sudden. 21.2.2.4b. Histopathology. The cellular arm of the immune system mediates acute cellular rejection. Each renal compartment exhibits characteristic features in ACR. Commonly, these consist of an inflammatory cell infiltrate composed of activated T cells of variable intensity. This infiltrate frequently targets endothelial cells, tubular epithelium, and interstitium of the kidney. The characteristic feature of ACR in the glomerulus is the presence of luminal mononuclear cells within the capillaries. Because the endothelium is among the first cells to express donor antigens, the host T cells are seen to attach to it. This phenomenon is known as posttransplant glomerulitis (PTG). It is seen frequently in the immediate period posttransplantation and may be a part of the broader constellation of ACR. Commonly, PTG is seen in the first 4-6 weeks posttransplantation. The classical manifestation of ACR in the tubular epithelial cells is the infiltration of lymphocytes into at least 5% of the cortical tubular epithelial cells, a phenomenon known as tubulitis. The infiltrating lymphocytes can be identified by the small, clear "halo" that surrounds them. Rejection-type tubulitis must be differentiated from "senile tubulitis," present in atrophic tubules, which is the final common pathway of tubular destruction regardless of etiology. Multiple fields and levels of sections containing cortical tissue should be examined to determine the extent of tubulitis. Similarly, an interstitial inflammatory cell infiltrate is commonly seen in ACR. 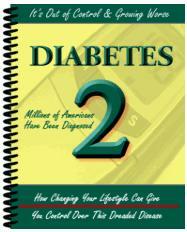 It is composed primarily of activated T cells, predominantly CD8(+). Subcapsular infiltrates should be excluded from the consideration for ACR. Occasionally, neutrophils and eosinophils may be present as well. This infiltrate may be focal and intense at times. The activated T cells home in on the vascular endothelium, a major antigenic presentation site in ACR. As such, the T cells will adhere within the luminal endothelial cells or may be seen infiltrating underneath the endothelial layer of arteries and arterioles. This is known as vasculitis, endothelialitis, or endarteritis. In more severe ACR cases, medium-size and larger arterioles may be involved. Transmural infiltration of lymphocytes or a frank necrotizing arteritis can be seen in severe cases of rejection and frequently lead to organ loss. There are no significant diagnostic immunofluorescence findings in ACR. toxicity may resemble ACR. Tubulitis may be present but is the hallmark of ACR, not CyA toxicity. The main target of drug toxicity is the proximal convoluted tubules. An important feature of acute CyA toxicity is the presence of numerous minute vacuoles within the tubular cells, known as "isometric vacuolation." Unlike ACR, there is no evidence for an interstitial mononuclear cell infiltrate in CyA toxicity. In acute tubulointerstitial rejection, there is a diffuse lymphocytic infiltrate. A sparser infiltrate is present in CyA toxicity. Thrombotic micro-angiopathy, similar to that seen in acute humoral rejection, may be seen with CyA toxicity. This cannot be differentiated from microangiopathy of other etiologies. PTLD should also be considered in the differential diagnosis. The presence of large number of activated B cells instead of T cells would suggest the presence of PTLD rather than ACR. An intense infiltrate of eosinophils and basophils may be seen in acute drug toxicity. An acute interstial nephritis of infectious or reactive etiologies can be difficult to differentiate from ACR. An infectious etiology for the process should be ruled out (polyoma [BK virus], EBV, CMV). 21.2.2.5a. Clinical. Chronic rejection can be seen from months to years after transplantation and is a common cause for graft loss. A gradual deterioration of renal function is commonly seen. A biopsy is recommended to document rejection. 21.2.2.5b. Histopathology. The tubules and interstitium show increased interstitial fibrosis and tubular atrophy, with a mononuclear cell infiltrate. Tubular basement membranes are thickened and duplicated. An acute cellular rejection process may also coexist with this chronic process. It is believed that the tubular lesion in chronic graft rejection is mediated by increased ischemia (see vascular lesions below) and repeated bouts of ACR. Within the glomeruli, there is evidence for mesangial expansion and, especially, duplication and webbing of capillary basement membranes. 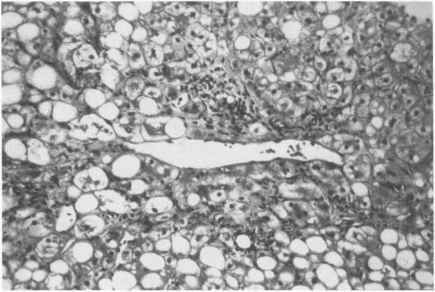 Known as "transplant glomerulopathy," this must be differentiated from hepatitis C virus (HCV) nephropathy and other membranoproliferative glomerulonephritis (GN) of other etiologies. A thrombotic microangiopathic picture, similar to that noted in CyA toxicity, may be seen as well. Focal or global sclerosis of glomeruli may be present. At times a glomerular tip lesion may develop. This consists of the adhesion of a glomerular capillary to the origin of the proximal convoluted tubule. It is believed that the transplant glomerulopathy is the result of immune attack on the endothelial cells of the glomerulus. Within vessels, the characteristic lesion of chronic rejection consists of intimal proliferation and fibrous thickening, with infiltration of foamy macrophages within the media. A subendothelial mononuclear cell infiltrate is often present. The pathogenesis of the chronic arterial lesion appears at present to be multifactorial. Immunofluorescent studies in chronic allograft rejection are nonspecific. However, these are important to exclude recurrent or de novo glomerular disease. 21.2.2.5c. Differential Diagnosis of Chronic Rejection. Chronic rejection may not be differentiated for chronic CyA or FK506 toxicity. The presence of transplant glomerulopathy or "webbing" is not seed in CyA toxicity. Chronic transplant glomerulopathy must be differentiated from HCV or other membrano-proliferative glomerulonephropathy. Immunofluorescence (IFE) may be important to determine whether de novo immune complex glomerulonephropathy is present. Interstitial fibrosis caused by chronic rejection cannot be readily differentiated from CyA toxicity. Large lymphocytic infiltrates, composed primarily of B lymphocytes are more likely to represent PTLD than chronic rejection. Subintimal hyaliosis, seen in benign hypertension, should not be confused with the presence of intimal fibrin seen in chronic rejection. The most current approach for scoring rejection was developed by an expert panel of pathologists, in lieu of the previous Banff classification, first proposed in 1993. Sponsored by the National Institutes of Health (NIH), the Cooperative Clinical Trials in Transplantation (CCTT), defined three main categories in acute rejection. • Type I—ACR, primarily representing tubulointerstial rejection. 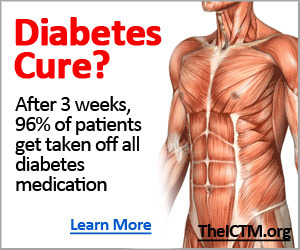 This is frequently responsive to steroid therapy. • Type II—ACR more severe than Type I and represented primarily by the presence of endarteritis. • Type III—the most severe ACR, with the poorest prognosis for graft survival. It is represented by transmural inflammation and vascular fi-brinoid necrosis of arterioles and arteries. Several retrospective studies have confirmed the reproducibility of this schema. One of the most common adverse effects of CyA treatment is toxicity that may lead to graft loss. Three major categories of CyA nephrotoxicity exist: acute toxicity, chronic toxicity, and thrombotic microangiopathy. Some of the more acute changes, such as isometric vacuolation of the proximal convoluted tubules, were addressed earlier. Tubular atrophy, present in chronic CyA toxicity, frequently presents in a segmental manner, yielding a "stripped" pattern. This will occur from a few months to years following transplantation and depends largely on the history of drug administration. The characteristic chronic lesion is an induced arteriopathy, which consists primarily of single myocyte degeneration. Later, hyaline-fibrin replace the necrotic myocytes within the media in a pearl-like or beaded form. This may appear as a proteinaceous deposit on the outer periphery of the affected vessels, leaving the intimal layer intact. The external nodular hyalinosis may also be seen in other disorders but with less frequency than that of CyA toxicity. This should be differentiated from the subintimal hyalinosis seen in diabetes and benign hypertension. Thrombotic microangiopathy, similar to that present in acute humoral rejection, may be seen in high-dose CyA toxicity. Renal failure, increased lactate dehydrogenase (LDH) levels, and hemolytic anemia may accompany thrombotic microangiopathy. Most of the toxic side effects of FK506 are similar to those of CyA. Administration of prophylactic OKT3 10 mg/day for 2 weeks induced an increased rate of glomerular thrombosis (microangiopathic type). Thrombosis of major arteries was found as well. PTLD tends to occur as early as 6 weeks postinitiation of immunosuppressive therapy, with incidence of 1-2% of all transplants. It is believed that EBV mediates it, either as an epiphenomenon or as a direct cause. The most common clinical presentation is a gradual loss of graft function. The histopathology consists of a dense, massive infiltrate of B-type lymphocytes, some with some plasmacytic differentiation, which may be mono- or polyclonal. Immunohisto-chemical studies as well as in situ hybridization are useful in detecting EBV components within the lesion. Once diagnosed, patient are managed with dose reduction or temporary stoppage of immunosuppressive therapy. Frequently, cold preservation of kidneys prior to transplantation causes acute ischemic injury to the tubular epithelial cells. This lesion is believed to cause delayed graft function. The histological spectrum of this lesion ranges from excessively large vacuolation of tubular cells to loss of brush border of proximal convoluted tubules, to individual cell necrosis. (HHV 1, 2, and 6) and adenoviruses. 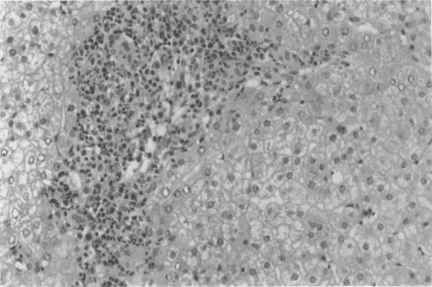 Molecular and immunohistochemical techniques readily differentiate between these viruses. Transplanted patients without prior history of glomerular disease may develop lesions that clinically may simulate rejection. Membranous glomerulonephritis (MGN) may be seen in 2% of transplants anywhere from 2 months to 5 years after transplantation, with an average of approximately 2 years. It appears that the epimembranous deposits in transplanted MGN are somewhat smaller than those in idiopathic MGN. It is believed that the etiology of transplant MGN is antibodies that work against minor histocompatibility sites. Occurring less frequently are antiglomerular basement membrane (anti-GBM) glomerulopathies and focal segmental glomerulosclerosis (FSGS). The anti-GBM lesions were seen in grafts transplanted into patients with Alport's disease. These cases commonly also develop a crescenteric glomerulonephritis. FSGS has been described primarily in adult patients who received pediatric allografts. The presumed etiology of this lesion is hyperfiltration of the transplanted kidney. Both the classical and the collapsing variant of FSGS may be seen. Up to 5% of graft failures may be attributed to recurrent disease. The more common ones are diabetic nephropathy, dense deposit disease, FSGS, IgA neph-ropathy MPGN, hemolytic-uremic syndrome, Henoch-Schonlein purpura, and MGN.